Creed was a major surprise. Seriously. As much as I love the Rocky franchise, was there any reason to assume that what was essentially Rocky VII, just without a focus on the character we know and love, would be a success? Sure, it had an exciting young actor at the center and an up and coming filmmaker in Ryan Coogler at the helm. But still, how good could it be? Well, the answer was that it turned out to be an Oscar nominee, a Golden Globe winning film, and one of the year's best. Now, Creed II hits this week and, defying all odds, is nearly as good. This flick will also end up on a top ten list for me. It more than delivers, it flies high. What easily could have tarnished what's come before instead movingly builds on it. This is one of the ten best films of 2018, unlikely as that may seem. The movie is a sequel to Creed, continuing the Rocky series by focusing on the late Apollo Creed's son Adonis Creed (Michael B. Jordan). First the number one contender for the heavyweight championship of the world, Adonis soon becomes champ. 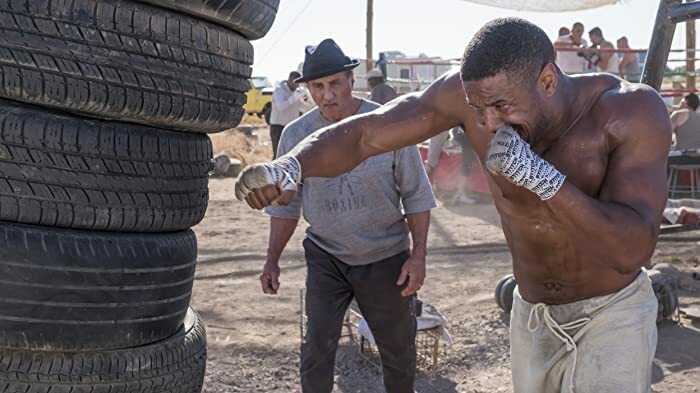 It's a wonderful night for him, his girlfriend Bianca (Tessa Thompson), and his trainer, former champ Rocky Balboa (Sylvester Stallone), A challenge unlike any other is coming though, in Viktor Drago (Florian Munteanu), the imposing son of former Balboa/Creed rival Ivan Drago (Dolph Lundgren). Everyone knows that Ivan killed Apollo in the ring, so Adonis feels like he has no choice but to fight him. Rocky warns him of the danger, but it's no use. Thus begins a true Rocky sequel, just told with all of the additional emotion that Creed brought to bear. Steven Caple Jr. directs a script that Stallone co-wrote with Juel Taylor (Cheo Hodari Coker and Sascha Penn also worked on drafts at one point), while supporting players include Wood Harris, Russell Hornsby, Phylicia Rashad, Andre Ward, and more. Ludwig Göransson composed the score, while cinematography is by Kramer Morgenthau. I'm not kidding. 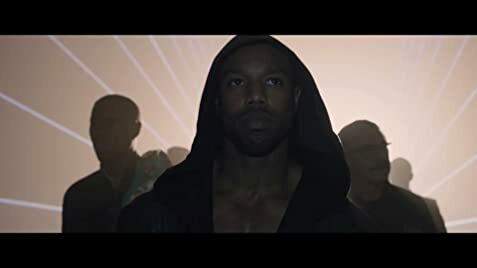 Creed II is phenomenal. Joke that it's Rocky VIII if you must, but there's way more to it than that. The emotional stakes that both Adonis and Rocky face, not to mention both Drago men, are effective and impactful. That's a true testament to Michael B. Jordan and Sylvester Stallone for sure, though also for returning player Dolph Lundgren, plus Florian Munteanu. Tessa Thompson again is fantastic, while Phylicia Rashad lends some gravitas in her few scenes. Again though, this is about Jordan, and whether he's with Stallone or Thompson, he has electric chemistry with both. The fight scenes don't have the style that the aforementioned Ryan Coogler brought last time, but they're still among the franchise's best. Very little here will surprise you, but damn if it isn't incredibly moving to watch. Don't expect Creed II to contend for Academy Award love like Creed did, but I will say that Jordan and Stallone are just as good this time out (the same goes for Thompson as well). The former is even more front and center, while the latter truly becomes a supporting character, though one with literally decades of history that both the actor and the audience is pulling from. This is an example of how amazing studio films can be when they actually care. This may have been made in part because of money, but the powers that be also made sure that everyone involved was invested. The end result is a brilliantly entertaining movie with tons of heart.